Caterpillar just launched the sale of three new vibrating rollers. They are called the CB13, CB15 and CB16 (depending on the tonnage). These models complete the existing range of paving machines from this manufacturer. 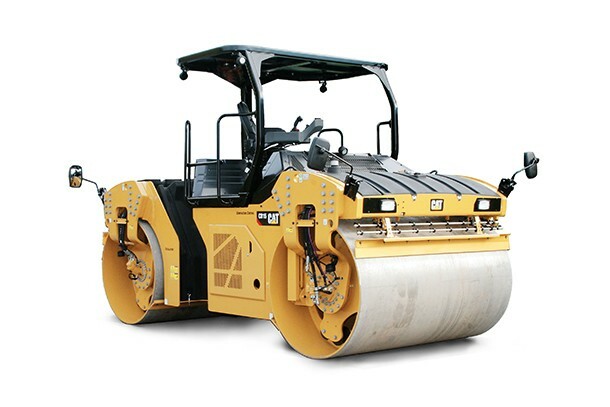 The Caterpillar rollers CB13, CB15 and CB16 are equipped with efficient vibrating systems. They, indeed, own different options such as double amplitude, double frequency and several amplitude setups. They also integrate the Versa-Vibe system (for a precise adjustment of the punching speed and strength) as well as the oscillatory vibrations. These technical choices make these machines versatile depending on their use. The Caterpillar engineers have also developped solutions allowing these new rollers to be more easy to operate even at night : tramline counter, infrared temperature sensors, GPS system and a simultanuous management system. The operator's driving seat has been reworked. The visibility is now optimum with a 360° seat. The operator won't have to turn his head. The steering column is now a real steering wheel. The control pannel has been simplified, with only 8 buttons left to control the machine. Finally, these three rollers are great for maintenance costs control, with a maintenance interval of 2 years (or 2000 hours) for the oscillation system.